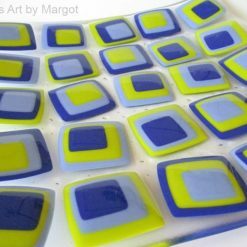 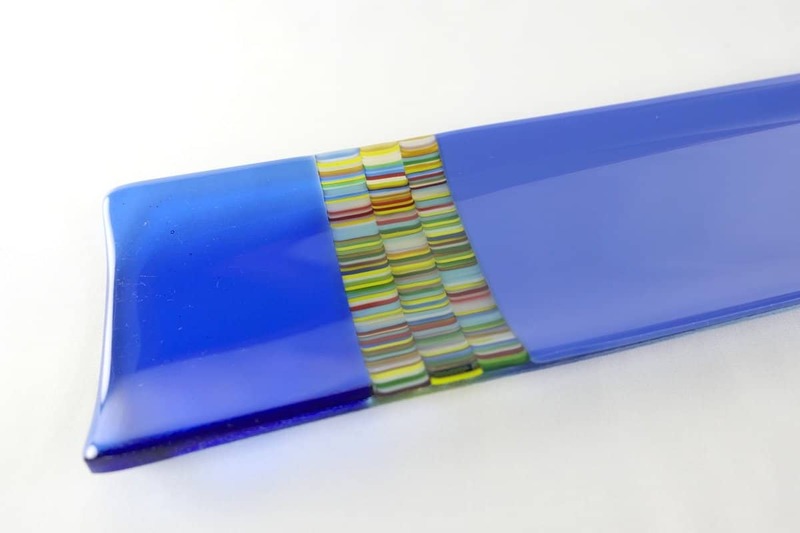 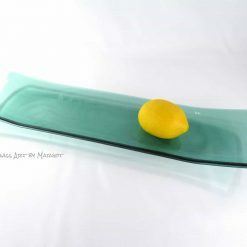 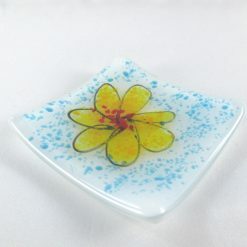 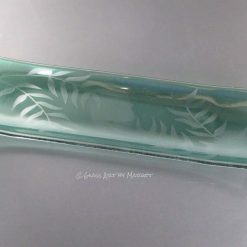 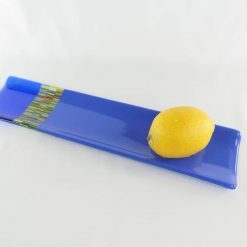 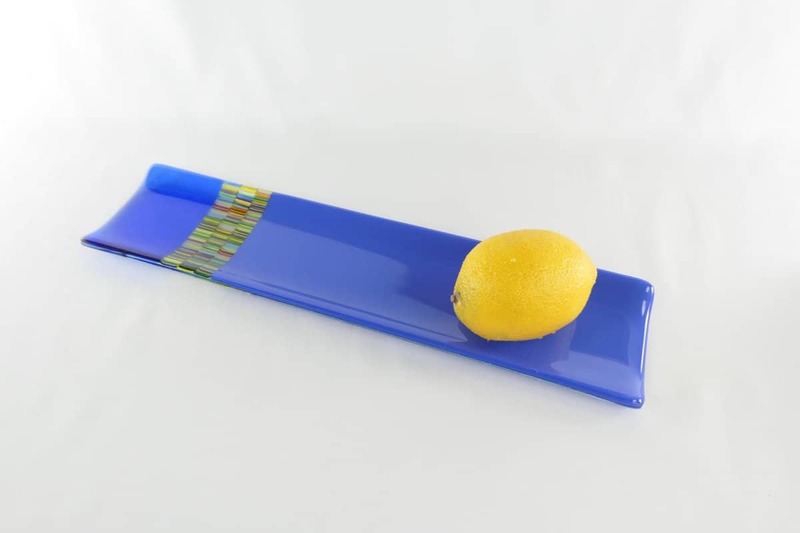 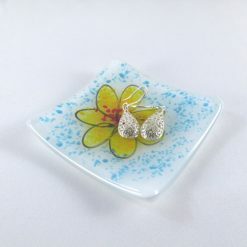 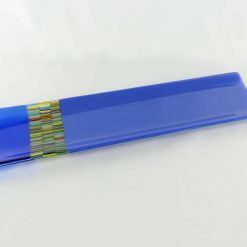 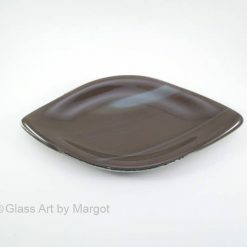 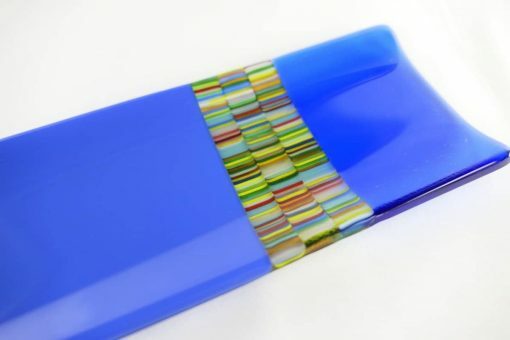 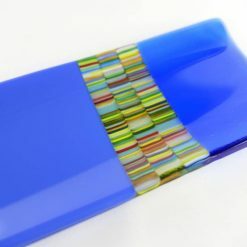 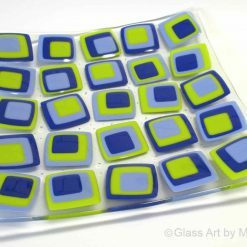 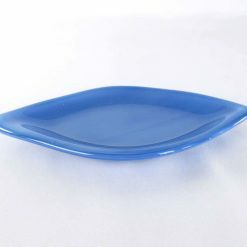 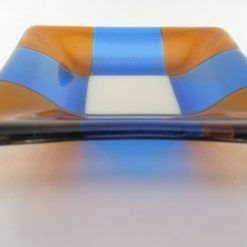 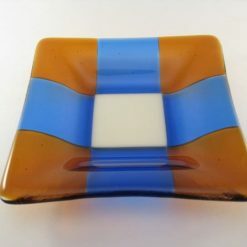 A skinny fused glass tray in two shades of blue. 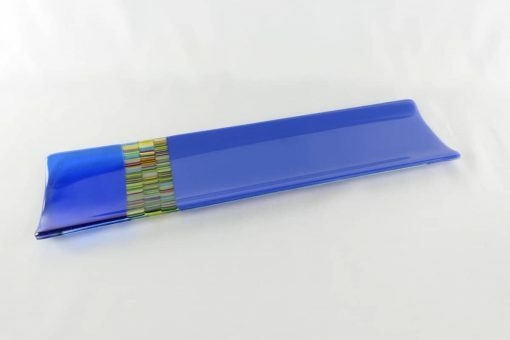 One end is transparent the other is opaque adding visual interest. 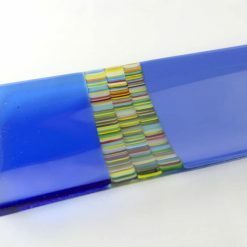 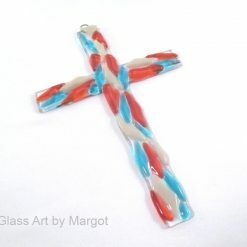 The focal point of the piece is a multicolored piece of glass made with multiple tiny strings of colored glass. 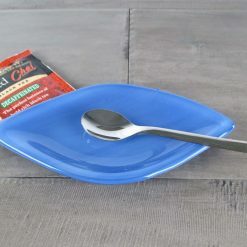 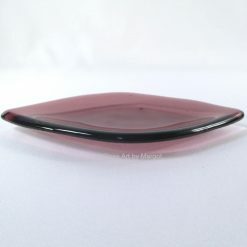 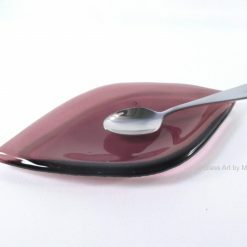 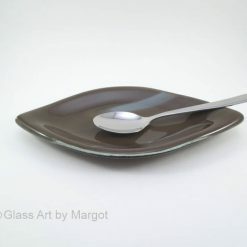 Beautiful as a display piece but also functional as a serving tray.